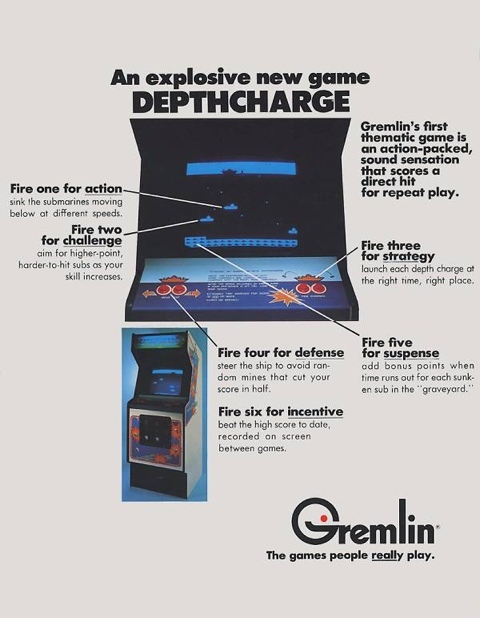 Retro gaming: Depth Charge – Arcade/Mame. It might not look much but this vintage black and white arcade game from 1977 is proving to be quite addictive little game that i keep returning back to beat my previous score. as you rain death from above on the high seas to unsuspecting submariners lurking below. It’s similar to an very old Apple II game i used to play but it’s been so long i’ve plain forgotten what is was called. The aim is simply to use your warship to rain death from above with with depth charges on the unsuspecting submariners lurking in deep sea below. I must say, it’s very sporting of them to paint score numbers on their hulls! You have just 90 seconds to destroy as many subs as you can although scoring above 500 points will grant you an extra 45 second bonus. Steering of your ship is via left,right control and two fire buttons are use to launch your depth charges from either aft or stern – or starboard and port depending on how you interpret your ship sprite! Your ship is equipped with an unlimited supply of depth charges but you can only release six in one go until they either hit a sub or the seabed below. Submarines swim under the water at various speeds and at different depths therefore you have to use your judgement to guess when to release a depth charge to score a hit. 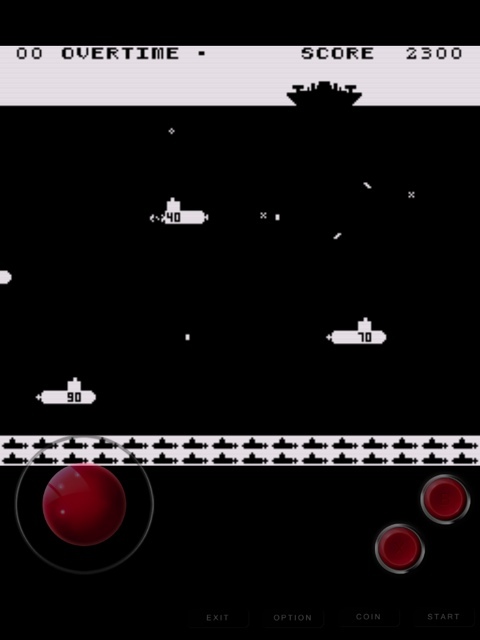 Submarines at greater depths reward with a greater score but of course are harder to hit. Those subs drivers aren’t going to give up without a fight though and will launch mines that will float up to the surface and explode making Swiss cheese of your hull. Sinking you ship will loose precious seconds as the next boat is readied for you. Scrolling is very smooth and I love how the depth charges rotate as they slowly sink to the sea bed below and the implosion animation on the submarines. Can you beat my iMame score above? Simply, addictive, fun and well worth taking a look. This entry was posted in Arcade and tagged arcade, depth charge, Imame. Bookmark the permalink.